(Bloomberg) -- Shares of Tyson Foods Inc. are taking a hit as China’s new tariffs cause fears of a U.S. pork pileup. 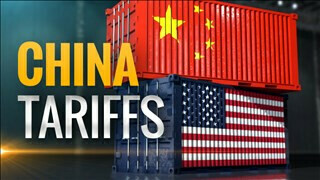 China’s retaliatory measures against American imports took effect Monday, including a 25 percent tariff on pork. The duty comes just after government data showed that the American hog herd on March 1 reached a seasonal all-time high. The tax may cause U.S. meat supplies to “back up meaningfully” and cause prices to fall, dragging on chicken and beef, Tim Ramey, an analyst at Pivotal Research Group, said Monday in a report. He lowered his stock rating on Tyson to sell. Tyson shares fell as much as 6.3 percent on Monday to $68.56 in New York, the largest intraday decline since May. The company didn’t immediately respond to emails Monday seeking comment on the tariffs. June hog futures on the Chicago Mercantile Exchange tumbled by the 3-cent limit to 73.55 cents a pound. 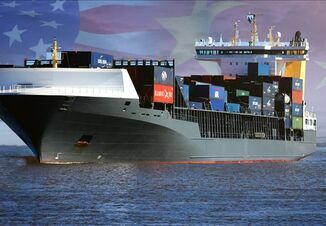 Combined with sales to Hong Kong, China was the second-largest destination for U.S. pork exports by volume last year, industry data show. While China is a “volatile” buyer, the country is the largest market for pork byproducts and there are few alternative destinations, Jeremy Scott, an analyst at Mizuho Securities, said in a report. 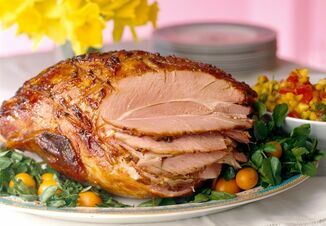 “Healthy export flows, particularly of offal product, is necessary to clear the supply ramp from the new pork packing capacity coming online this year,” he said. Tyson’s shares are trading about 17 percent lower than the average Wall Street price target of $83.33.